This fashion forward ball gown dress 19205 is truly mesmerizing. 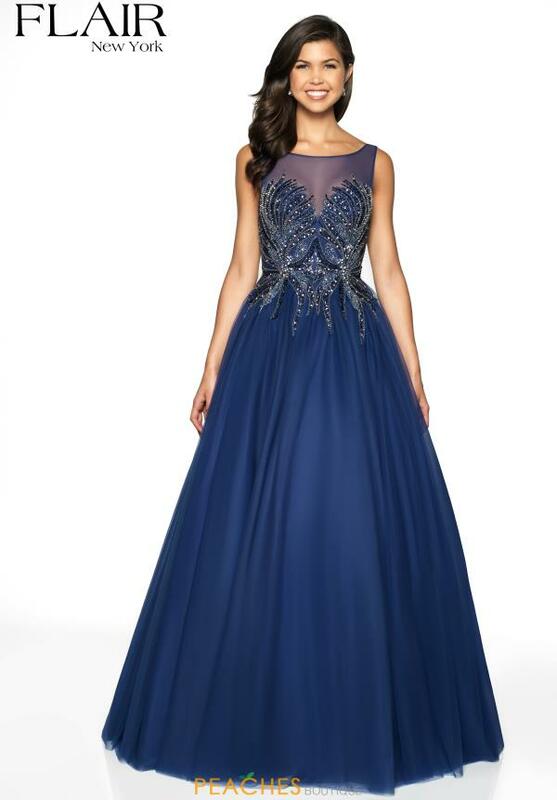 Available in Indigo and Rosewood, this statement making dress showcases a high neckline with an illusion sweetheart neckline and a dramatic tulle skirt. The bodice is embellished with radiant stones that are embedded in an intricate pattern. The back of this dress features a low v cut back that completes this look. For more styles visit Peaches Boutique in Chicago.